If you follow my posts you know in January I had been somewhat negative looking for some cycle tops during January. My outlook was for a 4% or so correction in January (which we got). 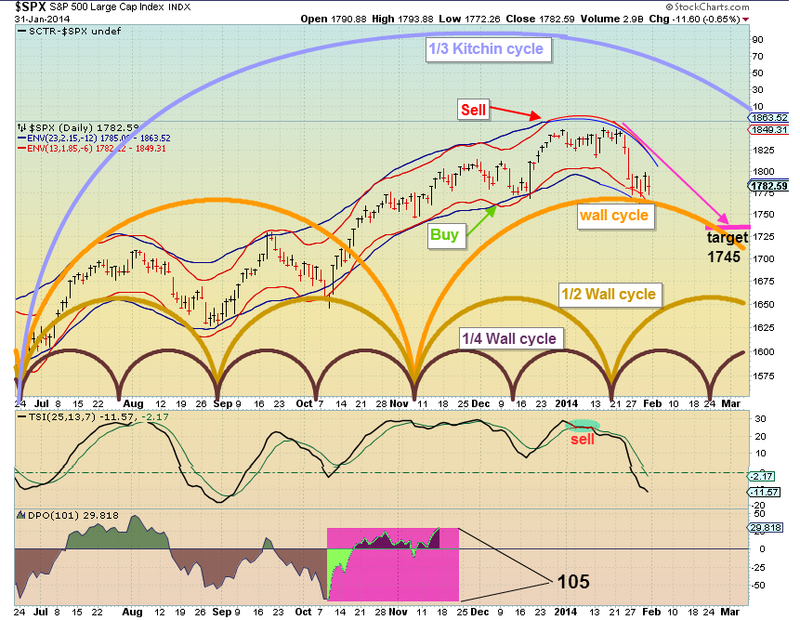 It appears that the longer cycles I generally follow (Kitchin, 1/3 Kitchin, and Wall cycles) are down. The shorter cycles (1/2 Wall and 1/4 Wall) are up. With these cycles offsetting in the coming week we probably will see some up days mixed with some down days with a slight down bias for the week. It now appears the longer cycles have assumed dominance. 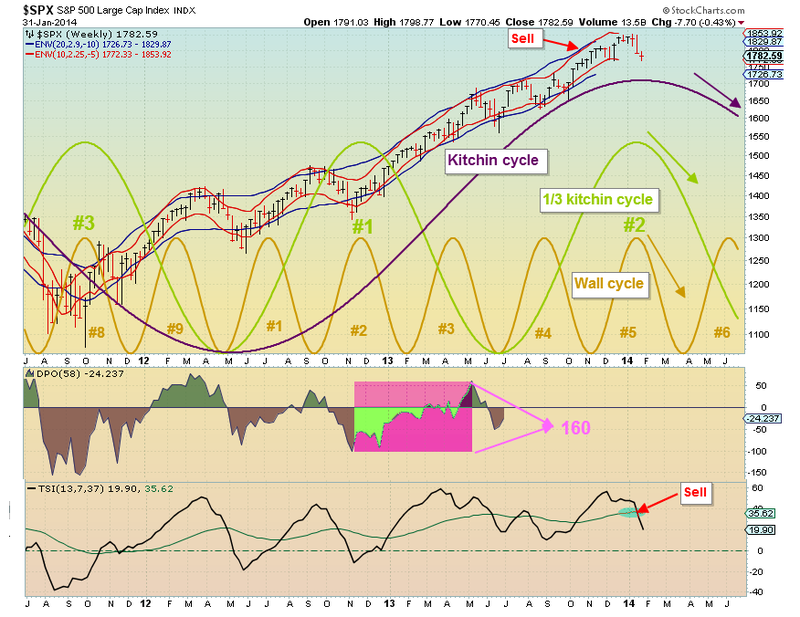 By late Feb' the lower weekly bollinger will be around 1730/40..so...if we're around there, we might hit it. A hit of that..would - in my view, confirm 1850 as a key intermediate'3 top. 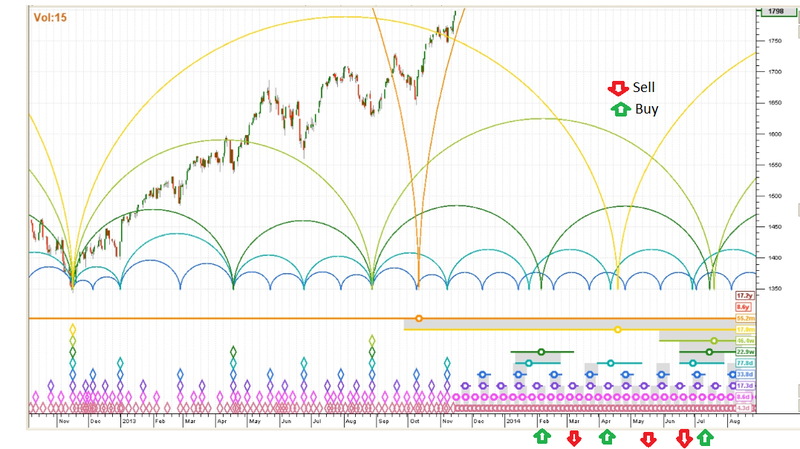 A bounce..probably 75/100pts..then a rollover in April..with a possible collapse wave similar to 1998/2011. Its just an idea..but..hell, we all know we're due at least some kind of major pull back after 2.5 yrs of effectively straight up. Have a good week Inlet. some up days, some down days for the week. I guess Friday with payroll decides the week, but as of now the week has a downside bias as suggested above.